I woke up this morning; thinking of this, thinking of that. I sat it all aside to find You here. Before I opened my eyes You were here; preparing our time together. So many things to do, but only one is worth it to me. Meeting You in our place, so much joy it brings my anxious heart. You see everything within me; I cast my cares on You. Everything that attempts to drown me. You’re the only One I desire. I cried out to You this morning and I gave You ever desire and all things I yearn for. I know that in Your hands they are safe. I know You review all things and put in order what is of You and remove what’s not. My heart I open to You. Lead me and Your will be done. You are mine and I am Yours. It’s because of you that I do not sink when storms come my way. It’s been almost two months since my husband went to be with God. Everyday since it all happened I have been struggling to walk, “humbly” with my God. I have been anxious about which path to take. I have been worried about what others would think of me about my decisions I am feeling Papa leading me to make and so on. Living righteously? There have been times where I felt like I wasn’t. After reading about Abraham and how God led him and how he just believed, showed me that there is where I currently find myself. The word says that Abraham just believed God and God counted him as righteous. Seek first; Seek God first in everything you do. Seek out His will, choose to believe Him and everything that you desire; according to His will, will be given. I was speaking to a friend two days ago about how I had to learn to fight. I was thrown into the front line and I had to defend myself against the attacks of the enemy. When I say defend myself, I mean I had to trust God completely for help to get through the death of my husband and even while he was in the hospital, dying. I was attacked with anxiety, panic, depression and so many other things. In the midst of the hardest moments of my husband dying in the hospital, I had no choice but to learn how to fight back against the enemy. I had no choice, because I wasn’t going to allow depression or anxiety take over my life. It’s been a spiritual fight ever since. I know it had to happen that way or else I would have never learned how to fight, the way I have learned to. I wouldn’t be experiencing this kind of growth if none of this happened. Everyday it’s about trusting God even when I can’t see and even when I don’t understand what He is doing out of all this. It’s hard, but the outcome of trusting Him has been such a beautiful blessing in my life. I am not the same woman. I am stronger. I am wiser. I am more courageous than ever. I am learning to step out of the boat and onto the water, knowing that I will not sink. His love surrounds me and embraces me. I will never fall. Last night was a blessing for both my spiritual life and life in general. I stepped out of my comfort zone and visited a church for Worship Night. Friday nights have been my “girls night.” I started joining my friend and her group of women from her Life Group. It’s been so refreshing to be surrounded by new people and hearing their stories. It’s been such a blessing for me and it’s been helping me get through all that I have been facing. It’s allowed me to open up and share my experiences and what I have been going through. Back to Worship Night; I wasn’t going to go because guilt had been forming in my mind. I was worrying about well, what would “they say or think about me coming here and worshipping with a different church…?” I was slowly backing down from the thought of going and enjoying God’s presence. But towards the end of the day, I just felt to go. I am so glad I did. It wasn’t a coincidence that the songs they sang were ones that God used to comfort me during my husbands passing. It wasn’t a coincidence that God prepared something for me there. I walked out blessed and feeling so much peace. A peace that I haven’t felt in such a long time. He spoke words of love into my heart all over again and He reminded me that I am not alone. It was one I haven’t had before. It was a revelation that I needed in this time of my life. It was powerful and a tremendous blessing for my life and what I am being led to do. I saw Jesus standing before me taking on Him the beatings; the criticism and all the judgement so I wouldn’t have to. It spoke to me in such a profound way and encouraged me not to worry about those things anymore, because He endured it all FOR ME. He was showing me that He is my defender. He is my protector. He is my SHIELD. I just left that place so blessed. So refreshed and so at peace. I left there with courage. I traded my fear for courage and that’s what I received. I will step out of the boat and on to the water. I will not sink, because He is with me. October 14, 2018 .Reading time 8 minutes. Today, my day off I had a hard time studying. My mind all over the place. I spent time with Papa and read my devotional of the day, but I kept feeling antsy to get up and do something. I couldn’t stay still. I had ordered curtains for the room, to divide my bathroom/closet area from the rest of the room, but when I went to order the curtains I didn’t pay any attention to the length. HA! So when they came in I was disappointed, they were too short. This morning I kept staring at them because I knew I still wanted to do something with them, I just didn’t know what. I asked God for wisdom. I ended up using them as a backdrop for my bed. (I ended up rearranging my bedroom.) I needed to. The way the bedroom was, is how my husband and I left it the day before we went off on our “weekend getaway…” The very weekend where he NEVER CAME BACK HOME. So, this change was helpful for me. It was like a new start for me. Though I have been making all these kinds of changes, I still can’t touch his things; clothes, cologne and stuff like that. I just can’t. The thought of doing so just makes me so sad. There are days I stand at the closet, stare at his clothes, touch them and just start crying. I begin to remember how he looked in them. There have been times where I’ve laid my head on his clothes, the ones still hanging and just cried. It’s not time for me to let go. I have been thinking about how things used to be before I met my husband… how it was so easy for me to throw out anything that reminded me of an old boyfriend or friend that hurt me in attempts to heal and forget all the memories and feelings. Back then it was so helpful to get rid of anything that reminded me of pain, hurt or anything that made me uncomfortable; sadness, anger, etc. I was able to just push it away and forget about it. It’s not like that, now. I can’t do that anymore. He wasn’t just some guy. He was my husband. He was my best friend. God is allowing me to go through all of this; this process to bring healing to my heart. I can’t just push it to the side and pretend that it didn’t happen or pretend that I was never married or anything like that. I can’t throw out the memories that my husband and I had. They are still apart of me and who I have become. He was a big part of my life, and the person I am today. I am still trying to hold on to him and his things, anything that reminds me of him because it brings me comfort! It makes me feel like he is still here. There have been times where I can feel him or I can hear him talking to me and telling me everything is going to be ok.
All these changes I have been making have helped me in my healing process. It’s been just one step in front of the other. I have mentioned before that I have been learning how to walk, again. I have been learning my place as a widow and who I now am without my husband. It’s been hard. I didn’t want to get up from where the enemy knocked me down, but I knew I needed to. I knew I had to. Each day has had a challenge of it’s own, that’s why I no longer worry about tomorrow. I have learned to take life one day at a time, trust God with my tomorrow and be absolutely grateful that He’s allowed me to see it. If there is one thing I have learned in ALL OF THIS it’s this: not taking life or any one for granted. Things happen in a blink of an eye and you never know if it’s your last day or someone you care about. I mean this in a few aspects. I am not ready to let my husband go. You know how I know? Because I still yearn for that companionship. It may sound backwards, but it’s not. To let my husband fully go, is me looking to someone else to fill that emptiness. If that were the case then I would be the same old person I was before I met my husband and allowed Jesus into my life. Instead I have been looking to God and his word for that wholeness. 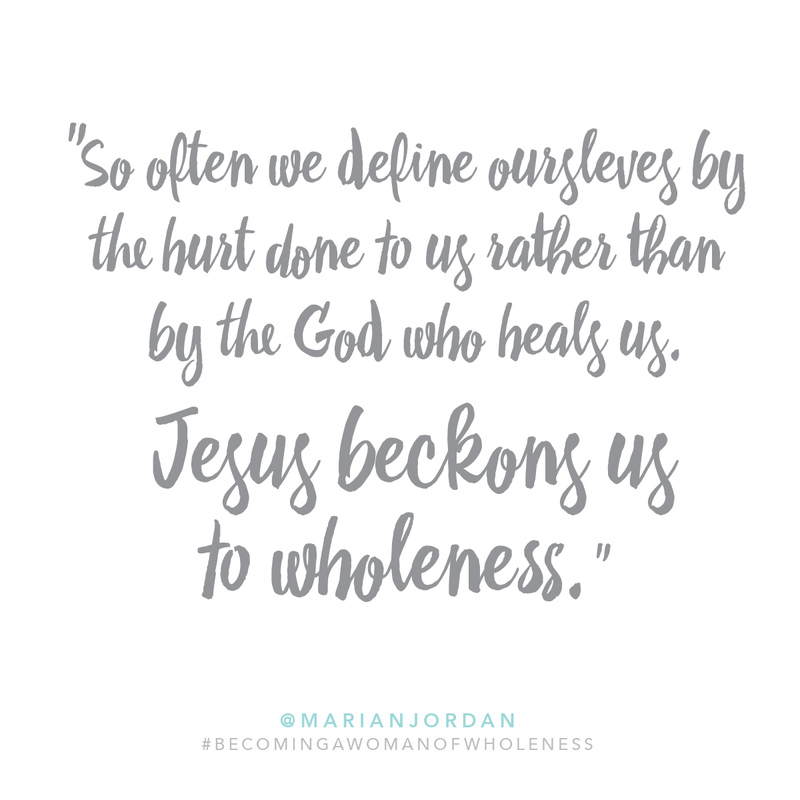 The very fact that I am still struggling to let my husband go is the very fact that I am in so much need of God and deliverance of this trauma I experienced almost two months ago. The last place I will find that “cure,” is in another relationship. I hold on because I am scared to let go. I don’t want anybody else, though the flesh screams and wishes there was someone else to talk to and have here with me. I am not looking for that and I am thankful that it hasn’t found me. Like those who are addicted to something; I was addicted to being in relationships. Back then, they were the very thing I turned to, to fill voids in my life… the only thing that God had the ability to do. The steps of grieving differ from person to person. I have had good days and I have had bad days. I have felt peace, I have felt joy. Then I have felt sadness, and I have felt angry. I often wonder why this has happened. I wonder why my husband had to go. To say that I don’t feel every single emotion would be a lie. They come in spurs. They come all of a sudden; sometimes not at all. Days when it comes, I am hit hard. I cry. I throw a flesh fit and I confront God. I am in pain. I feel so alone. No one understands what I feel; if they haven’t lost a spouse, even then it’s different. I just want to run away, to a place I don’t know. I don’t want to be reminded anymore! I need to escape. I feel so trapped and I feel so isolated. Just leave me alone and keep your, “I am sorry for loss,” to yourself! Today was a rough day. I felt so closed off from everyone and angry that I couldn’t escape the place that is familiar. I am reminded of what I no longer have anymore and it makes me angry that it has happened this way. Every single part of me wants to run away and avoid the memories that are being thrown in my face. I want to forget everything that has happened; yet people come up to me and say insensitive things; like leave me alone already. It already happened! I want to lash out. I want to take what I feel out on every single person that crosses my path. I am angry at God; to say that I am not would be a lie. I cried out to Him asking Him why He took my husband only to leave me alone here. Why did He take him only to not let me leave the place where all I am is reminded of him and the pain I feel. I keep questioning Him out of the hurt and pain I still carry within. I want to scream. I want to throw things around… I slammed the door and it made me feel better. I am human. An imperfect human. to experience deep, emotional pain (sadness), i.e. severe sorrow (grief). I often look up specific words in their Greek or Hebrew meanings. I find that it adds a deeper meaning to scripture or anything that I want to understand more. Grieving; there is no wrong or right way to grieve or go through a death of a loved one. Everybody is different and the way people react is different. Feel how you need to feel, but don’t let it keep you stuck there or cause you to make wrong decisions. For me, it started with peace, joy and strength and all of a sudden the last few days I have felt nothing but anger, and the want to isolate and lash out. The anger and everything else I have been feeling has left me to question God. Something that I didn’t want to do. It just hurts me more because I don’t understand why this happened. Or why I am now alone without my best friend. Or why I am now alone in the very place I met my husband and I cannot just leave and start over. It makes me angry feeling that I am trapped and cant just go. While everybody is going on with their life, mine has been hit hard and I don’t know where to go from here or what to do!! It’s not fair. I hate it. I want to do what is best for me!! I don’t care if nobody agrees with it. They aren’t the ones feeling what I feel. (All I can do is cry out tears of frustration, pain and sadness, because I know that running away wouldn’t solve anything. The enemy is trying so hard to knock me down and get me to walk away from God and what I am meant to do. I am tempted to just walk away, but yet that still small voice is evident in my life. That’s the very reason why I feel frustrated. I want to do what I feel, but God isn’t letting me and keeping me in where my flesh doesn’t want to be. If you were to ask me, “what are you going to do?” My answer would be, be where God wants me to be. Even though it hurts so much, I don’t want to rebel. I don’t want to lose everything that God has already been doing in my life and I don’t want to start all over. It’s taken me eight years to be given the opportunities I now have. It’s taken so many tears, breakdowns and moments where I needed to learn to trust God. It’s my time, now. I feel what I feel, but God still loves me and knows my heart. 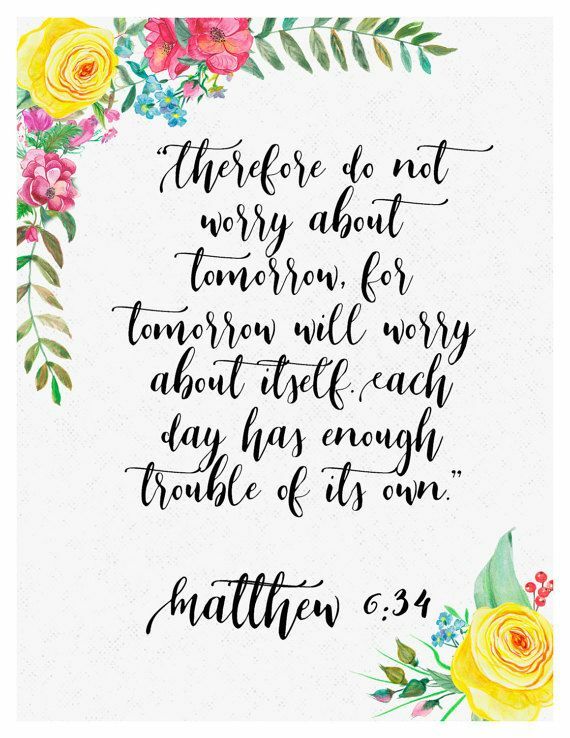 I have been meditating on this verse since early this morning. Papa reminded me of it and remainder me how good He’s been and will always be with me. Now I need to be good with Him and humble myself before His plans for my life. I want “to come back home,” and no longer be like the prodigal son who ran away and hit rock bottom. I want to do what He needs me to do and I want to surrender my will and what I don’t want. Because everything that I have not wanted has been hindering everything He has been wanting. October 6, 2018 .Reading time 17 minutes. I just want to hold you. I ran to you like the little girl I am, in your eyes. I threw myself in your arms and tightly I held you. That’s all I want to do; expressing my gratitude for all You have done for me. I am thankful. Though my heart still hurts, You give me strength to wake up each morning and get through the day. Papa I am stepping out of my comfort zone; I can hear how proud You are of me. My story coming forth; a beautiful masterpiece it’s becoming. In my time with Papa, I felt this urge to just hug him. I saw myself like a little girl running to my Father and just wrapping my arms around Him. I am thankful and I am beyond blessed by what He has been doing in my life these past few weeks; since my husband’s death. I see Him moving around me, I see Him moving in my life… in every thing regarding me. I see how He is using my life to inspire others and at certain times I think to myself… how can it make such an impact on others? When I think something is small, God magnifies it for others to see; to see Him through my life and circumstance. Lately I have been stepping out of my comfort zone like never before. I am learning to walk on my own with God. I am learning to open myself up to new and exciting things that He is leading me to and the people He is now placing in my life. It’s a season where I cannot stay quiet about what has been going on in my life. Sometimes I take a small step back to acknowledge everything that is happening in my life and I am in awe. I just think; “Lord, it’s all you!” It really is because I have no idea how I am able to walk with so much peace, strength, courage and confidence, especially since it’s been only a month that my husband went HOME. I found myself reflecting on my life and how I have been given a unique opportunity. A new beginning in my walk with God. I was telling my pastora (pastor’s wife) that I have been given a new opportunity to serve Him. I have said this before, but the way it sounds is not how I mean it. Now that I have become a widow, I feel free. Free to do what I am supposed to do. I don’t mean that in a bad way. It’s just something that I can’t really explain. I am free to move. I am free to go where God is leading me. I am free to serve. That’s the unique thing about it, especially since I never thought I would be a widow at my age. I stepped out of my comfort zone and said “yes,” to God. I said, “take my broken and put me together the way You see fit.” I said, “here I am, Your will be done.” He took me at my word and has begun His perfect work in my life. In this season of my life, I am like Abram, before he was named Abraham. I find myself tuning my ear into God’s frequency and saying, “yes.” I am slowly stepping out of all that has been so familiar and comfortable for me, into the unknown that He is leading me into. It’s has been such a struggle. My faith has been tested, but even then I surrendered my life. I have known that God doesn’t need much from us to do something big. He says if we only have faith as small as a mustard seed He can do amazing things. He has taken my mustard seed and has begun a good work. The biggest struggle has been not knowing where, how or why. Abram was told to leave his native land, his family; basically everything that hindered him. That’s where I find myself. What I learned is, those places of “comfort,” are not just physical places or things… it can also be emotional things. For example: I always hid behind isolation. For a long time that was my comfort place; a distorted way of thinking from the enemy. I thought that pushing others or myself way was a safe place. It was a comfort for me so that I wouldn’t confront those difficult things. In this season God is challenging so many other women to confront such things that they think are comfortable. He is wanting to lead them into the unknown, but where it will be a blessing for them. He is wanting to expand their faith and do great and mighty things in their life, but only if they have that faith to trust Him even when they can’t see the outcome yet. God will never ask us to leave something that is so familiar to us only to abandon us in the wilderness. On the contrary, He is leading us into something prosperous, something wonderful and that is going to be a huge blessing to us and those around us. In this season, God is taking all that I thought was insignificant and turning it into something beautiful that He is starting to manifest to others around me. He has been taking me through this unknown and revealing to me so many wonderful things. Through the death of my husband, God has been calling me out and telling me to get up and walk. Well, walk where? I don’t know. I still don’t know what is going to come out of all that has happened to me. I don’t have all the answers and I definitely do not know where I will end up. I trust Him. Like Abram, I am being tested. God’s promises cannot come to pass in my life until I fully trust and obey God. Abram would eventually become the “Father of many nations,” but first God has to test him and Abram had to have that faith to obey and go into the unknown. I was sharing with a group of women how I used to be. I was opening up about how I used to need to know every single detail before I jumped into it. I needed to know who was going to be there, how to get from here to there and so on. I needed to plan out everything before doing it. I hid behind my husband. He was my shield in those moments I felt so uncomfortable. But now I felt like I have been pushed to the front line, where I cannot hide behind anything anymore. I have been fully exposed, but for a reason. I had been such a timid person for so long that God had no choice but to remove that shield in order for me to not have the opportunity to hide. In the midst of this exposure I have had to learn how to trust God. I have also learned how to fight on my own, with Him. I have had to confront a lot of things that I always just pushed to the side. I am a stronger woman now, I am learning how to stand in the gaps for others and be that fighter God called me to be. I am not a timid woman anymore. I am not an easy target for my enemy anymore. What God allows to happen is for a reason. It’s never to harm us, but to help us grow. I am standing in the gap for them and I am not backing down or giving up. A part of the healing process of my current grieving has been, “talking to my husband,” as if he was here. I know that he isn’t and I don’t do it in a way that isn’t biblical. I am fully aware that he is gone and his spirit isn’t lingering around. I know where he is. But the thing that has been so hard for me was bot being able to text him or tell him about my day, especially now that I have been working. Last night I was asked to speak at the women’s life group. It was such a blessing for me and a step into what God is leading me to do. On the drive home I was feeling that urge to talk to him and tell him how it went, so I did. I spoke as if I was directly talking to him and all of a sudden, I felt that he was telling me, “I am proud of you.” In my mind I heard his voice and tears began to form in my eyes. I know it is God. God is proud of me. I know my husband would be so proud of me and all that I am doing and especially about the woman I am transforming into. There’s still apart of me that hurts and wishes I was more like this when he was still here. Sometimes I am hard on myself and think why did I have to wait until this happen for me to open up to God? The answer is, some of us are so stubborn and hard headed that we need to go through something like this for God to finally get ahold of us. Even them, some people just rebel. I didn’t want to. I didn’t give myself a choice. I chose to surrender and trust God with my life. In all honesty, that has helped me in my time of grieving. That’s why others are able to see me go through life with strength, courage, peace and so much more, that it leaves them in awe. I have heard so many times, “I don’t think I would be as strong as you if I went through something like that…” My response is, what you’re facing might not be as big as what I am going through, but at the moment it’s big in your life… and if you’re able to remain strong in that, then you will be able to stand when something harder comes at you. Everything is just a moment of strengthening for something greater. In God’s eyes, it’s a big deal. He cares for you and your circumstances. 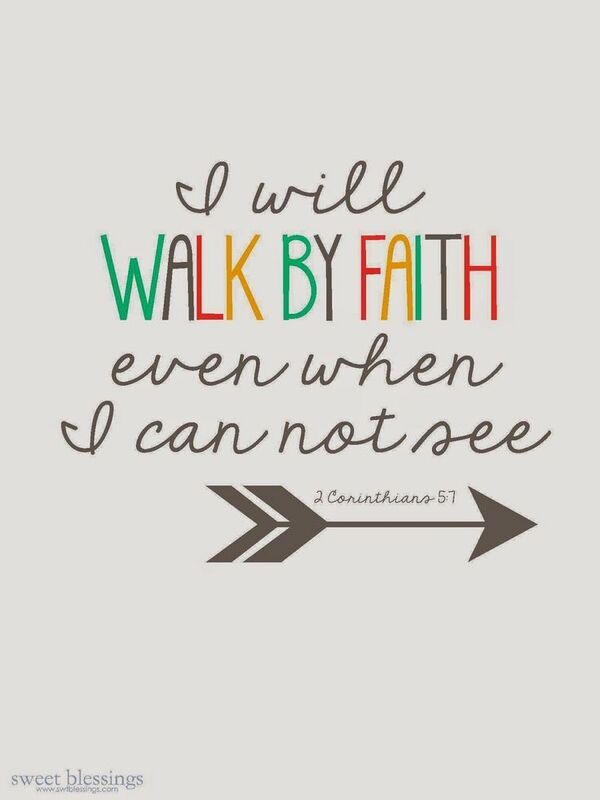 So am learning how to walk this road of faith; of trust. I am walking into the unknown and I am no longer afraid of it because I know the One who goes before me. The verses below have been such a blessing for my life in this season. I have been learning how good He is how He is the good Shepherd. He leads us on the right path. He protects us from harm and cares for us. 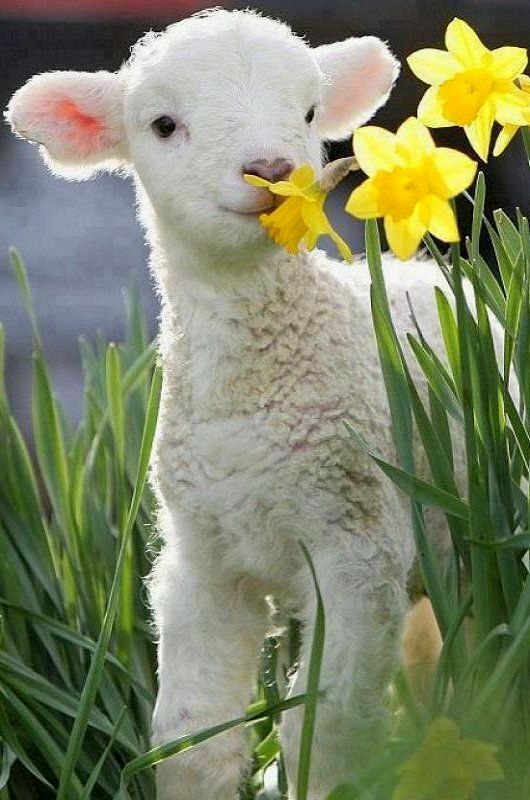 Applying it to my life, I am the lamb, He is my life’s shepherd. He has been leading me into new and exciting things, BECAUSE I HAVE ALLOWED HIM TO. I am not fighting Him anymore because I have fully understood that He is for me and not against me. I look at myself, not in the physical; in the spiritual. I see myself standing before an open road. I look to the left, I look to the right; even straight ahead. I am filled with confusion, I don’t know which path to take. I cry out to You, You’re the only one who can help me. Alone to decide, I am and I am not sure what to do. You see my heart and know every desire; lead me in the way I am to go so I will not wander in the direction of my own wants. I am anxious, I just want to move. I am scared, too, at the thought of doing it alone. Every tear I have cried, not in vain they are. Lead me, I want to go where You are. Yesterday, being Monday, marked the finale of a three day conference at our mother church. It was a powerful service which ended in God moving and reigniting the passion in our hearts for what He has for us; for serving Him. I stood there in the back crying out to God. Ever since all this happened with my husband, I have been more certain that I want to serve God. I want to be used to help women and young girls. It was so evident in my heart that I am meant to, but I am just not sure which path to take or where to start. Both had seemed appealing to me, but the last thing I have wanted was to move without God’s guidance and only because of what I don’t or do want to work for; if that makes sense. I want it to be all God and His timing, not me or mine. The very fact that I cried out those words, that I didn’t want to be like Lot, and wanted to be like Abraham already gives me the answer I am needing; I just need the faith to walk it out… like Abraham did. Lot chose what was appealing to him, out of the selfishness and greed in his heart. He chose the beautiful, the very thing that he didn’t have to work for; everything was set and established. The very place he chose was a place that was filled with so much evil and things not of God; instead of being a blessing to him it actually brought evil upon him… he was influenced. On the other hand, Abraham chose the overlooked. There was nothing there and it took him faith to be able to see the blessing of the plains. God spoke to him and promised him that he would be tremendously blessed because of his faith, his humility and obedience. He wanted what God wanted for him even though he couldn’t see it yet and not what he was able to see. That’s where I find myself right now, in this very season of my life. Like Abraham, I believe and trust God even though I cannot see where He is leading me to or the blessings yet to come. I don’t even know what to expect, except that I know it’s going to be a blessing for my life. I haven’t felt so connected to this song, like I do at this very moment. Though I have gone through so much and though it HURTS SO BAD, I can lift my arms and say to God, “I still believe.” I would be lying if I said I didn’t have questions. I have a lot of questions and still I don’t seem to understand why my husband was taken. Pain and confusion still blur my vision of the bigger picture. I still cry for my husband, because I miss him so much. But through it all, I know God is still good and He is still faithful. I know that He didn’t allow this to hurt me. I know that for a fact. Like Abraham, I can’t see the blessing, but I have faith that it’s coming they very way He promised it. 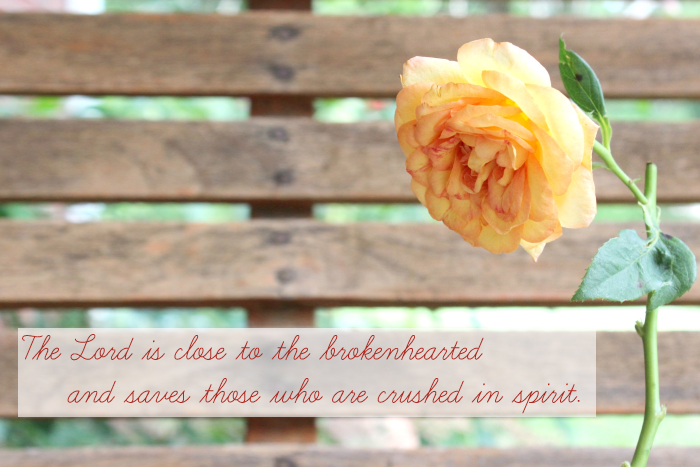 He is near to the broken hearted. He’s near to those who call on His name. WHAT YOU ARE FACING; THE LOSS THAT YOU HAVE ENDURED ISN’T WITHOUT PURPOSE. IT WAS NEVER MEANT TO HARM YOU. GOD HAS A PURPOSE FOR IT, YOU ONLY NEED TO BELIEVE. YOU ARE NOT ALONE. YOU ARE LOVED AND THERE IS A NEW BEGINNING COMING FORTH FOR YOUR LIFE. On days like today, I miss you. When emotions rise I turn around and realize you are no longer there. Tears fall from my eyes and I am reminded of the pain I still have within. A lot has changed. A lot has been taken. A lot, I am still adjusting to. I miss you. How I wish to express to you all that I am going through; the excitements, the joys, the ups, the downs. Lonely it can feel, but I know I am not. I missed you yesterday, I miss you today and I will miss you tomorrow. Today was an emotional day, if I am being completely honest. I was feeling really alone, down about mistakes I have been making (on my first two days in my new job) and I had been missing my husband. Yesterday, I had such a good time at my new job, that on my lunch break, as soon as I got into my car, my first thought was; “I am going to text babe and tell him how my day is going.” I immediately remembered how I can no longer do that. It made me so sad. For the past eight years, he had been the one I would go to, telling him about the kind of day I had. On days like today, I was reminded of what he would be telling me. I was sitting in my car at lunch and tears just began to fall down my face. God reminded me of what He would place in my husband’s heart to tell me. I couldn’t help but cry. I needed to let what I was feeling out. I went back from lunch feeling so better and stronger. I needed that encouragement from God at that moment. There is still a lot that I am learning to do on my own. There are a lot of things I am now doing on my own, and sometimes it scares me, but God has shown me that I have been more than capable to handle everything I am now going through. I have been blessed with a job that I am really enjoying. He put everything into place for me. His promises for me are manifesting, without me having to do anything, but absolutely trust Him and continue to seek Him. I am truly grateful for all He is doing and has been doing for me and around me. I am now learning to run to God, the way I used to run to my husband. 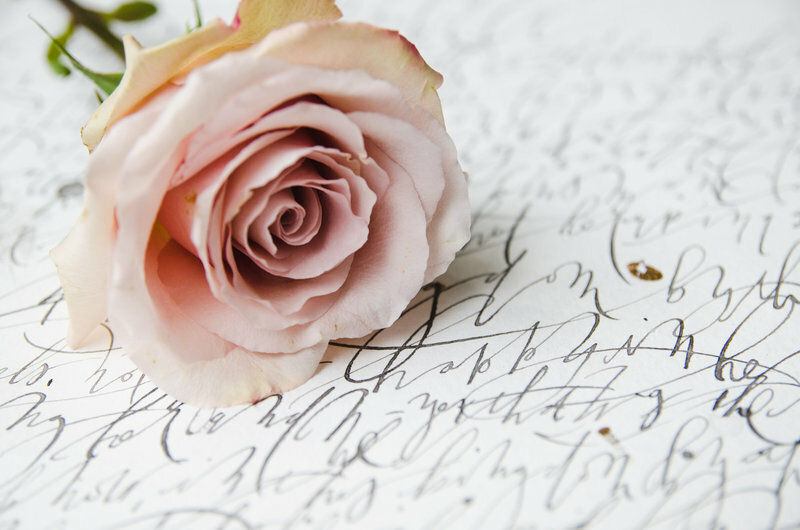 I am learning to express to Him how my day has been, what I am feeling and allowing Him to speak words of encouragement into me, the way my husband would. He is my everything and I need to begin really opening myself up to Him. After all, He is ALWAYS here with me. As a seed is planted and the plant begins to break ground spring forth, so am I at the moment. God’s promises of who I am meant to be are beginning to spring forth, breaking ground; breaking through old ways, habits, old characteristics, etc. Because it has to do with the flesh, it hurts. God is springing forth new things; courage, strength, boldness, confidence, new identity, new capabilities… a brand new me. It’s the season of growth. I have been learning to embrace widowhood and allow God to use me in this area. I have been learning how to cope with grief and what’s been happening. I have been clinging to God like never before, and I have been seeing Him in my life, like never before. I have been encountering God in a brand new way, in ways that proves He is so real. (I have already known that.) It’s been a revelation in a whole new way. After my husbands death, God manifested Himself. He become more real than ever. What I have been truly missing are the little love notes my husband used to randomly place around the house. It was so special to me when I would find a note that had been sitting in that spot for days until I finally found it. Things like that meant so much to me. It was such a loving gesture from my husband to remind me of how much he loved me and how he felt about me. Lately, God has been doing the same thing, but in a different way. He has been randomly sending me “Love Notes,” when I need them most. He has been using people to send me scriptures, cards and notes. He has been reminding me of how much He loves me, how He is always here with me and for me. He has also reminded me that things will get better and how He is watching over me. This was the recent “love note,” He sent me through someone. Like I didn’t have to work for my husband’s love and affection, I don’t have to work for God’s perfect love and affection. It has taken me a really long time to accept that, but recently it’s been a lot easier. I guess it’s because my heart first had to be broken and made new, in order to receive all that He is doing in my life right now. Whatever He is doing in my life, I have accepted it. I have learned to back down and just surrender. With all this, I lost my fight; fighting for my own ways, fighting for what I think is right for my life. Only God knows what I need and the best ways for me to go. I’ve surrendered. Self-love is important to overcoming grief. It was a reminder that it’s going to take some time. It’s going to take me being patient with myself and knowing that it’s ok for me to feel what I feel, when I feel it in order to fully heal. It’s knowing that I don’t have to stay in what I feel and that I have a way out of it. My way out is, God. It’s a reminder that I need to love myself how I am, the brokenness and all. Because that’s how He loves me. It’s a reminder that I am human and I don’t have it all together. God never expects any of us to have it all together, that’s why there is a need for Him. I have always liked this quote, but now it has a more profound meaning to my life. Life has thrown me out of my comfort zone with NO choice, but to fight through the storms of: anxiety, depression, sadness, loneliness, fear, isolation and so much more. When I say fight, I don’t mean on my own. I mean, not allowing myself to stay stuck in those places. I mean dealing with them without my husband around anymore. Without him comforting me like he used to. I had to learn to do it alone, with God. Going backwards and falling into those traps was NOT an option for me, so strong is what I had to be an honestly, how I am handling things… I am manifesting a strength I never knew I had. I am doing things I never though I could or would ever do. That takes special strength; that comes from God. Only God. September 9, 2018 .Reading time 12 minutes. On the Rock I stand. For God has placed me there and there is where I want to stay. A wise decision it is; the storm has hit, but I have not fallen. The storm raged, yet I’ve stood my ground. He upheld me with His righteous right hand, still I stand. 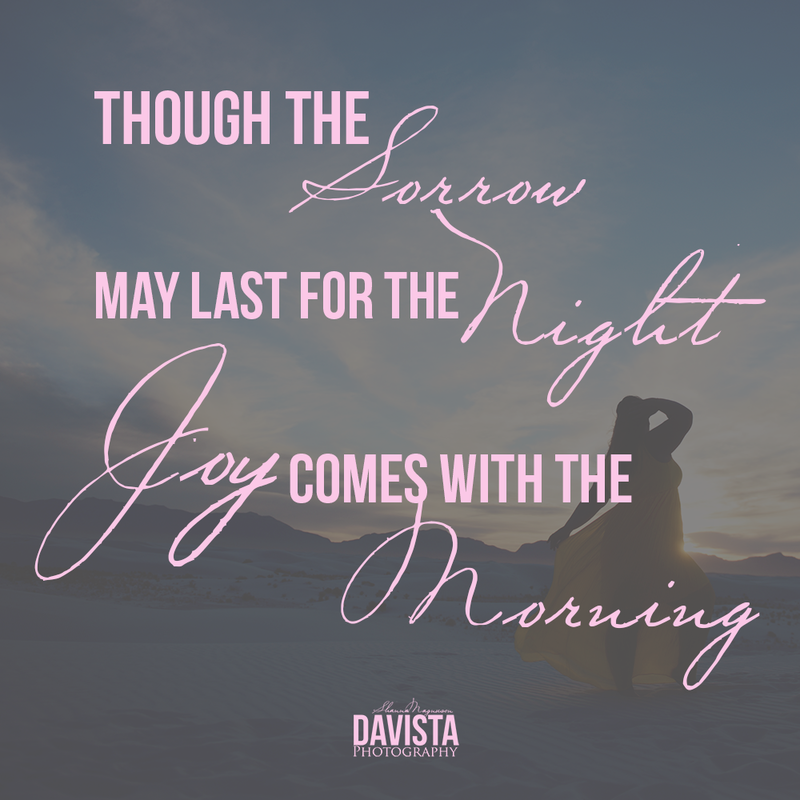 As days pass, the pain begins to fade and transform into joy. This hit was hard, I stumbled. Yet I did not fall. Like a child learning how to walk, so am I; learning to live this life alone, with Him. Fear, a close companion in this storm, but deep inside is breaking free. It’s been a week and a day since my husband’s passing. Each day is getting better, but I have my days. I have been grieving in my own way. Keeping myself and my mind busy has been helping me a lot. Many people told me that I would experience “this” and “that”, but I told God I didn’t want to go through them. I am not going to experience depression. I am not going to deal with anymore anxiety attacks. I’m just not, because I am determining myself to trust God and cast all my cares. God is FAITHFUL. Yesterday was a rough day. All week I have been up and down with no time to sit and just “grieve”, and after yesterday I think it’s a good thing. I stayed in bed until after 3pm. I woke up really missing my husband, I felt down and I didn’t feel like doing a thing. I had allowed those emotions get the best of me. God is good and I can’t say that enough. During this storm that began almost two months ago, He has been teaching me about what real strength is. He has sent so many people to tell me how strong I am or have been, on days where I feel the complete opposite, leaving me to think; how??? When we think of strength we think of someone who has it all together and isn’t fazed by what they face or that one person who is physically strong, but in God’s eyes it’s not it. To be strong, is to be strong in the Lord. What I mean is, someone who clings to God without letting go in the middle of the storm. It’s someone who truly trusts Him even when all you feel is confusion, fear, doubt and so many other things. It’s knowing that you can rise up from the stumble, because you know God isn’t letting you fall. That’s where I am right now. I was hit hard. I was blindsided, but not once has God let me fall. I stumbled, but I did not fall. I clung to God’s outstretched hand and allowed Him to lift me up. I am not backing down and I am not giving up. I trust Him. The last thing I want to do is let go of God. Each Day is Getting Better and I Am Getting Stronger. This has been my confession, especially when I haven’t felt it. Yesterday, again, was one of those days. The enemy had been telling me, “you’re going to have an anxiety attack at night. You’re husband isn’t here anymore. Why isn’t he here?” In all honesty it was getting to me and I felt such a heaviness on me, until I made a decision to change my thoughts and put the enemy in his place. I found myself saying, “each day is getting better and I am getting stronger.” It helped and I began to feel that oppression fall away. After everything I have been through in my life, I am seeing how each and everything has added up to prepare me for this season. I am stronger. I am wiser. I clearly know who I am and how I am no longer an easy target for the enemy. I have gained more discernment that helps with distinguishing God’s voice from the lies. He is the good shepherd. I am the sheep. I know my father’s voice. I have prayed this over my life. I am drawing courage from this verse. When my husband went to be with God, I immediately felt scared. I thought to myself, what do I do now? I am alone. God has broken me free from that. In the past week, I have been pushed out of my comfort zone. I have learned to be around others, alone. I have learned to solely depend on God, alone. The day before yesterday, I was surrounded by a group of women I did not know and I felt so much peace and comfort; something I never experienced before. It was liberating. It was true freedom. I have come to the point of being myself and no longer caring about what others think of me. It’s something that God has done down deep within my heart. I am now walking with my head held high because I am God’s daughter and He is with me. I am not alone. My entire walk with God, I never once felt that comfortable being alone. Each day I am getting to the point of true confidence where I feel I can do anything because He is with me. Each day I am growing into that courageous woman He needs me to be, because I am coming into who I truly am. I don’t need anything but Him to feel whole, secure and confident. It’s an unexplainable feeling, one I never felt before. I know who I am without my husband, now. Now that my husband is Home (Heaven) I can no longer hide myself; my defense mechanism, my comfort zone…is gone. I made a choice: I now need to be bold. I now need to be courageous. I now need to be that Warrior; the Daughter of God. I am now on the front line, a place I have desired for so many years. There are so many other women and young girls who need to know they are loved and cherished by a real God. Even before my husband’s passing, my heart was always for women and young girls; even more so now. Like I said, I am not backing down or giving up just because of what has happened, on the contrary, I am putting on my armor and preparing to fight this good fight, the way my husband did his whole life. I want God to use me. I want the things God has for me. Every hardship I have experienced in my life, I always said: “I am not backing down and I am not giving up.” I thank God for keeping me at my word. Though you are gone, it still feels like you’re here with me. I can still feel your love for me. I loved you then, I still love you now. You’re my best friend. God’s love through you for me changed my life, I am no longer the same. You loved me at my worst and more so at my best. The woman I am now becoming, your prayers are coming true. I know you would be proud of me. You’ve looked out for me from the beginning, it still feels like you are, now. I love you now and forever. When I close my eyes all I can see is the chaos around me. I am reminded of the pain I feel and the brokenness within. I cried out to You; all I could say was, “I am broken.” Emotions going wild, feeling so many things at once. You have been my stability. You have been my comfort. You have been the only safe place for me to run. It hurts. How long will it last? My life at the moment is me here and You on the other side of this current hell. I am scared. I am alone. One step in front of the other; You’ve given me the courage to move. As I step on this narrow road, there are no safe rails. The only sure thing is You. One step after another I draw closer to you. Things rise up attempting to keep my eyes off of you. Anxiety attacks, but You shield me and I am no longer afraid. I am walking towards You alone, apart of me has gone. My breakthrough is coming. I know You will see it through. I trust You. The last thing I want to be doing is writing. The last thing I want to be doing is planning a Celebration Service. Lately I have found myself doing things I don’t want to me doing, or I never thought I would be doing. 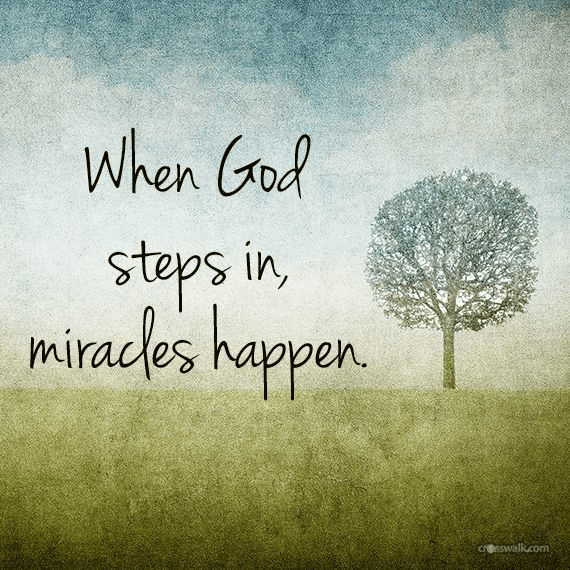 I have been sharing my journey about my husband stroke and believing for God to manifest a miracle. He did, just not how we prayed for. My husband went to be with God almost a week ago and I can’t begin to express what I have been feeling. I have felt shocked. I have felt scared. I have felt alone and I have felt angry. I have cried out to God telling Him this isn’t how things should be! I never expected to be a widow, now. I didn’t expect for my life to be broken this way. As days go by I am getting stronger, still it stings. My life partner taken away, when all my faith and hope was in him getting better here. Doubt began creeping in and I felt myself having a hard time believing what God said or has been saying. I felt cheated out of so much, especially out of a marriage. I guess I still feel angry, but I am surrendering it to God. I don’t want a bitter heart towards Him. He is the only one who has been strengthening me during this difficult time. My husband going to be with the Lord, left us all in shock. Some of us taking it harder than others. I am definitely one of them. He was my best friend. The one person I had been able to open up to and who had been there for me for the past eight years! Taken! The one who helped me walk with God. The one who was a big part of my spiritual growth… simply… my BEST FRIEND. I felt lost. I still do, to be honest. Last Sunday, I felt myself in a state of panic. I was crying and felt as though I was going insane. The enemy has been using the reality of it all to torment me. It wasn’t until I heard God lead me to say certain things out loud; helping me to accept the reality. These are some of the things God led me to say out loud. Once I did, I felt a peace come over me and an acceptance of my current reality. The enemy had me in a faze, keeping me from accepting it and every time I would snap out of it, I would remember and just breakdown. I had to disappear a few times while my family was over to just cry and pray. Loss, especially of your spouse is HARD. My supposed to be life partner. We were supposed to do life together. We were supposed to serve God together. We were supposed to do so much more than we did!! That makes me angry, and it hurts. I still remember the first time I showed him a writing of mine. He was the only person I had ever shown. I trust him with everything. He was my truest best friend, in my entire life. That’s what hurts me the most, not having that anymore. Writing reminds me of him, but all my writings for God. More than ever, I know I need to keep writing and share what I am going through, because I am not the only one going through such things. It hurts. Again, it’s the last thing I want to be doing, among a few other things. I want to write and let out everything I feel, until I am no longer broken, until I am no longer hurting, until I no longer shed a tear; until I can finally think of my love and just smile. My husband always had a heart for God and for people. His character, his personality… there isn’t a person who wasn’t impacted by the person he was. He gave his life to serve God and others. He helped me in many ways. I didn’t know until recently, that when he and I met, he was determined to help me and help me walk and grow in God. He literally did. He was my first real friend there, when I began attending the church. He knew all my secrets. He knew my past. He knew everything about me, yet he still loved me; unconditionally. Through him, God poured out his real love into my life. I knew acceptance, and I knew worth. My husband has been used by God to bring healing and restoration and to show me that a woman could be respected, loved and truly cherished. I have been thinking about that lately and I have realized that through my husband, God set a standard for me on how I should be treated and see myself. He has shown me who I am and my worth. It has taught me to no longer feel the need to depend on another man, like I used to. He has given me the courage to want only Him. He has healed that part of my life. He has strengthened me and set my true identity into motion. I don’t need another relationship to feel whole. I just need God. I was my love’s first love. He waited on God for me. That I will always cherish. There is a quote I recently seen and it made me think of him. He would tell me how God told him I was the one. He was and will always be that special man to me. The first thing that hit me hard was, “I am a widow. I am alone.” I took that pretty hard. I lost my best friend. The life I knew, immediately shaken and broken… until I received a revelation. Jesus is the ultimate GROOM. I am His bride. I am not alone. I made a promise to myself that I want to live with the same kind of heart my husband had. I want a heart after God’s and for people. I want to honor my husband like that. That’s something he taught me. That’s something he imparted to me. That’s something that helped me grow in God and find that healing and restoration. I want to be able to do that for others. To be able to love them past their flaws, their past and help them see who they are in God and how God sees them. He would always tell me how God sees me and he would live it out until I started believing it. Love was the hardest thing to accept, yet he was always patient with me. That’s what helped me open up more and more. That’s how God is with us. His love is patient… it never ceases and never gives up. Best Friends since 2010. Love of my life since then. Alfredo Hernandez Jr. April 16, 1979-August 31, 2018 I love you babe. See you later! A quiet night, alone I am; no one else around. I am emotional, I cannot deny. I want to cry, yet I want to stay strong. I have said time and time again, when you cry you are strong, but why do I try to avoid it? When I cry, I feel. When I cry, it hurts. When I cry I am reminded of what is happening around me; in me. I am comforted, yes. When the tears roll down my face, I feel relief and the pressures go. It seems like I am no stranger to tears and tears to me; oh how well acquainted we’ve been this past month. No one knows, only He. No one knows the reason for these tears, but He does. That is enough. It’s been a little over a month since everything happened. Days of brokenness, days of joy, days of chaos and days of peace; I have experienced them all. ✨This week has been the most rough of them all. I haven’t been able to eat right because my stomach had been in “knots” and anxiety was trying to make its home in my life and the thought of loneliness was becoming invasive. I know it’s been weeks since my last post, and honestly it doesn’t seem that long. It doesn’t seem like it’s been over a month since this all began. That tells me God’s hand is on everything. Everything is going to be ok.
What I mean about that is, when God says. Most days it will be when you least feel like it or the hardest days. But I have learned over time that what I am going through and what I share, has always blessed someone else reading it. It’s a constant reminder to me that I am not alone in what I go through and that others are going to the same things, or something similar. I remember telling my sister in-law when this first happened, that I will continue to cry through all this until God doesn’t allow me to cry anymore. It was after her telling me to not worry about what others think. To this day, I still shed my tears. It’s hard. I can’t deny that. I can’t pretend that I am not a mess at times, in all of this. I can be a mess. I don’t have to have it all together. Why? Because I am still human and I know when I am weak, God is strong. When I feel like I can’t stand, God is standing for me and that’s where I draw my strength from. He is my strength through all of this. God sees all things, especially those moments when we are alone and tears just flow from our eyes. He hears what is so hidden in our heart. He hears what words cannot say. I once heard, “tears are silent prayers.” It is true. Our tears manifest what we feel inside, good or bad. I have had a lot of sad tears flow from me expressing the very thing I was holding in; frustration, impatience, fear, pain, even gratitude. Only He knows exactly what I feel, think and desire. There have been times where I hold back those tears when I am around others and as soon as my bedroom door shuts, they pour out. I drop myself on the floor next to my bed and just cry. I know I am not alone in that. Speaking life is speaking words of blessing, comfort, hope, love and truth. When all that I hear is negative, I speak words of life. I speak the word of God over the circumstance and ignore the bad. This entire journey has been just that. Words have knocked me down, but God has lifted me up, but stronger. I have been learning to block out words of death and combat them with words of Life. I have been changing the way I speak and think, and it’s helped me see things the way He sees them. I have had doctors tell me one thing, yet see God do the opposite. I have been hit with the worst news anybody can get, but I have seen God’s hand over my husband. I know it’s only going to get better. My husband is still alive. I am choosing to speak words of life, because I have seen God manifest miracles before. I was a witness to one, though I didn’t know Him and my heart was so far from Him. I know He is the same God. I know He will do it again.